It is located footsteps to waterfront, Rhodes train station and shopping centre for an easy lifestyle. Open planned living area flowing sunlight easily to Winter-garden and balcony perfect for relaxed to view. The apartment is High quality full brick building with video intercom. 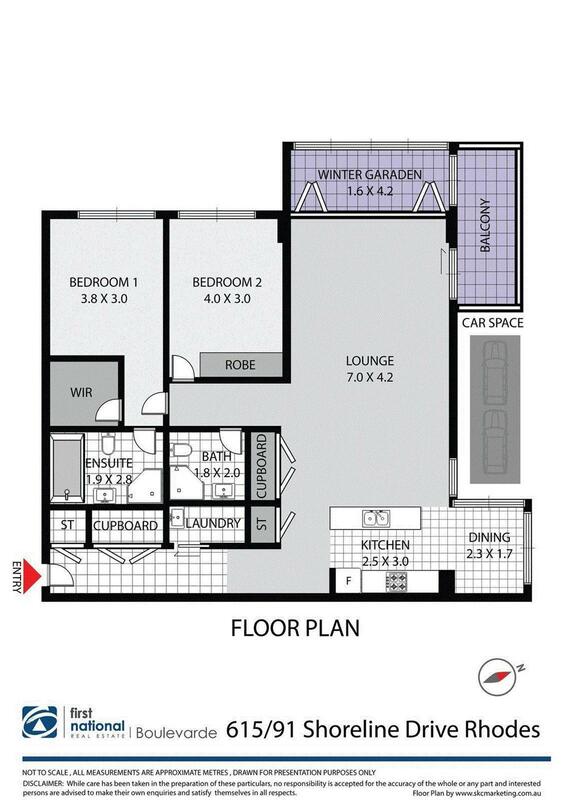 North & West facing large apartment size is 147sqm on title. * Main bedroom with walk-in robe and en-suite.